2 gal.Pack Green Works 31755 Neutral Floor Cleaner Concentrate,Two-128 oz Jugs. 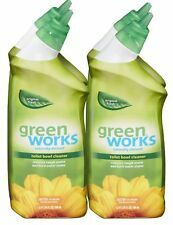 Green Works All-Purpose Cleaner, Refill 64 oz. 2 pks. 1 product rating - Green Works All-Purpose Cleaner, Refill 64 oz. 2 pks. Green Works All-Purpose Cleaner, Refill 64 oz. 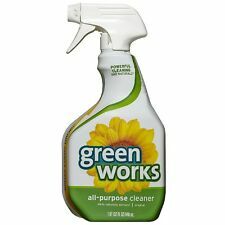 1 product rating - Green Works All-Purpose Cleaner, Refill 64 oz. Trending at $6.48Trending price is based on prices over last 90 days. 1 Green Works 31755 Neutral Floor Cleaner Concentrate Original 101 oz Bottle. This page was last updated: 24-Apr 05:58. Number of bids and bid amounts may be slightly out of date. See each listing for international shipping options and costs.